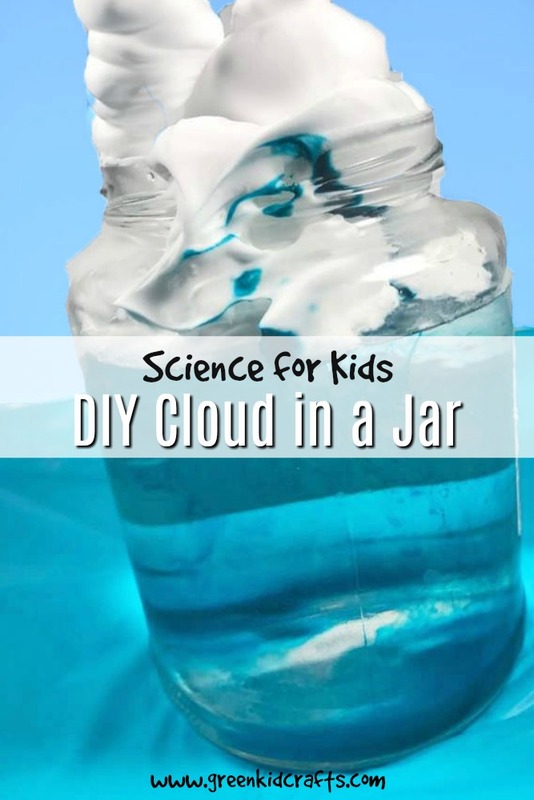 We’re having fun with water science this month and today I’m sharing a cool cloud in a jar activity. We’ve been doing a lot of experiments with water and food coloring haven’t we? Today we’re adding shaving cream to our supply list and we’ll see what it looks like to make clouds and rain in a jar! 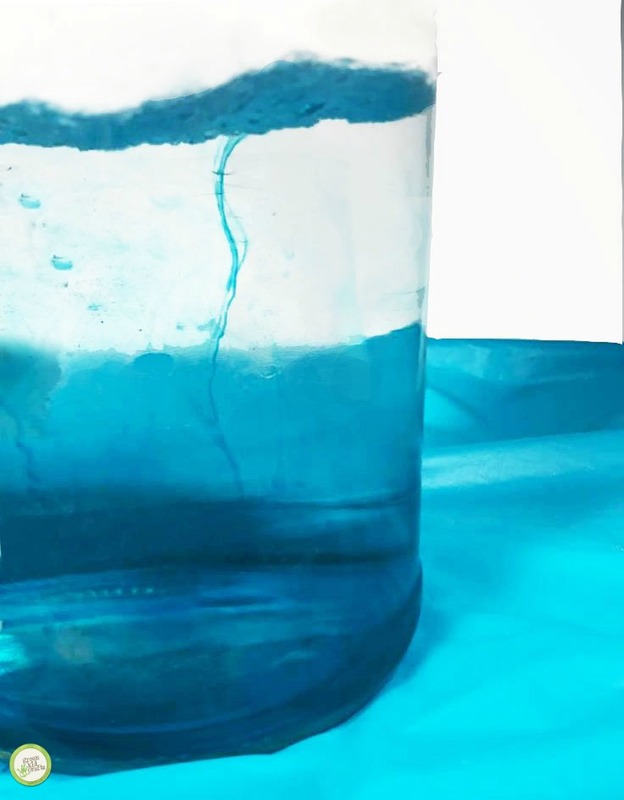 These supplies can be found at your local dollar store making this one of my favorite frugal science experiments for kids. 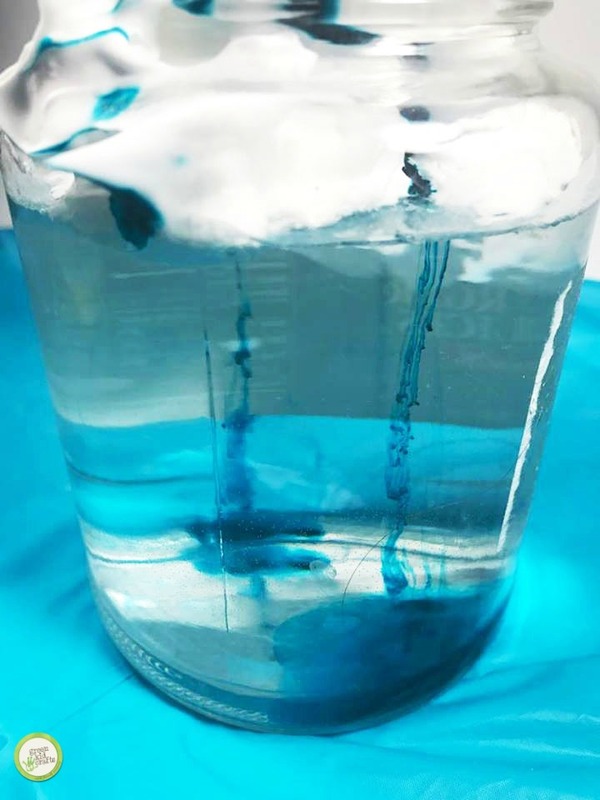 Whether you’re doing this as an extension to your Green Kid Crafts Water Science subscription box, or as a weather unit study addition, kids will be facinated to see the food coloring and clouds mix in this fun experiment. Fill the jar 3/4 full with water. 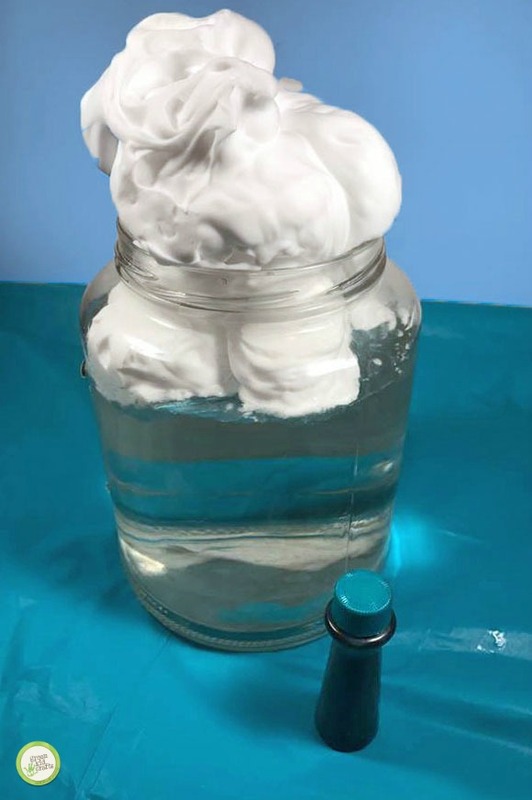 Add shaving cream to the top of the water until it is billowing up through the top of the jar. Next, put 5 drops of blue gel food coloring on top of the shaving cream in random places. Then just watch what happens! It’s amazing how the food coloring seeps through the shaving cream and down through the water. It takes about 3 minutes but it will eventally travel through the shaving cream cloud and into the water to look like rain. 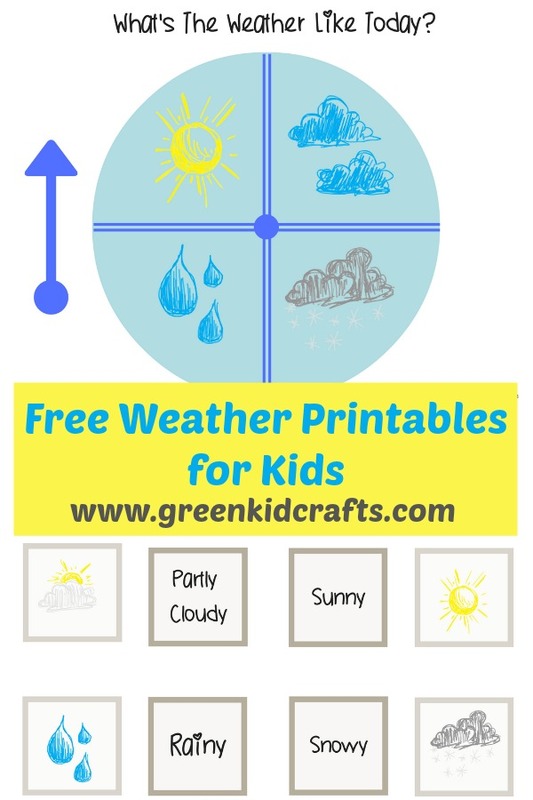 The weather crafts inside this Weather Science Discovery Box are sure to turn any child into a mini meteorologist as they create their very own Weather Station, Cloud Finder, and Wind Sock. 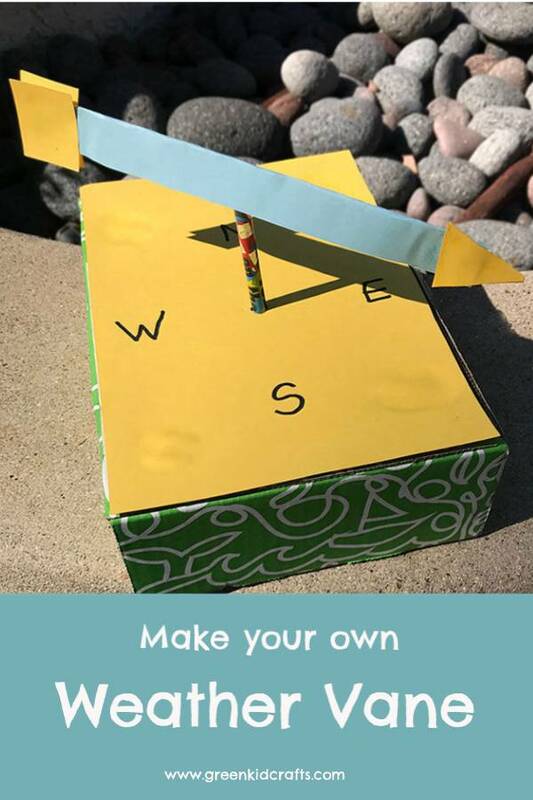 They’ll have a blast creating their own, unique weather instruments, then continue the fun as they track and measure the weather patterns using their handcrafted tools. Purchase a single box or start a subscription today!